This section focuses on planning an integrated watershed system within the San Gabriel River Watershed that provides flood protection, water conservation, habitat, recreation, and open space benefits for the public to enjoy. The San Gabriel River Watershed is located in the eastern portion of Los Angeles County. It is bound by the San Gabriel Mountains to the north, most of San Bernardino/Orange County to the east, the division of the Los Angeles River from the San Gabriel River to the west, and the Pacific Ocean to the south. 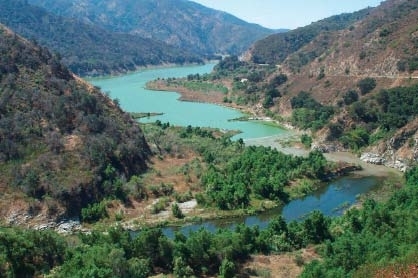 The watershed drains into the San Gabriel River from the San Gabriel Mountains flowing 58 miles south until its confluence with the Pacific Ocean. Major tributaries to the San Gabriel River include Walnut Creek, San Jose Creek, Coyote Creek, and numerous storm drains entering from the 19 cities that the San Gabriel River passes through. 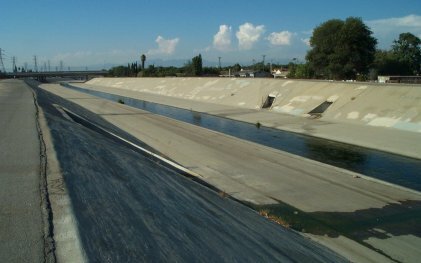 Channel flows pass through different sections in the San Gabriel river, diverting from the riverbed into four different spreading grounds, held behind several rubber dams for controlled flow and ground water recharge, and controlled through 10 miles of concrete channel bottom from below Whittier Narrows Dam to past Coyote Creek.